It has now been a month of being in Mexico, and 4 full weeks are behind me, but I definitely have found it harder than I realised to balance everything I want to do together with all the things I need to do. From various people who have studied at UDLAP before, the workload was supposed to be lighter and accommodating to lots of time not spent at uni or thinking about uni-related commitments. However, the first week at UDLAP was filled with bureaucracy and form-filling, which made me more grateful than ever for Manchester’s efficient administration. Into the first week of classes, it became more clear that, for my modules at least, it was more like A-levels again, and quantity over quality. What a first few weeks it has been! Upon arriving in the suburb of Cholula the top priority was accommodation. Whilst Universidad de las Américas Puebla (UDLAP) does provide campus accommodation, I personally wasn’t sold. Having spent a year living in a cave in the Owen’s Park tower the desire for halls of residence just wasn’t quite there anymore. Likewise the prospects of sharing a room with someone I had never met before and living on campus didn’t seem quite so appealing. 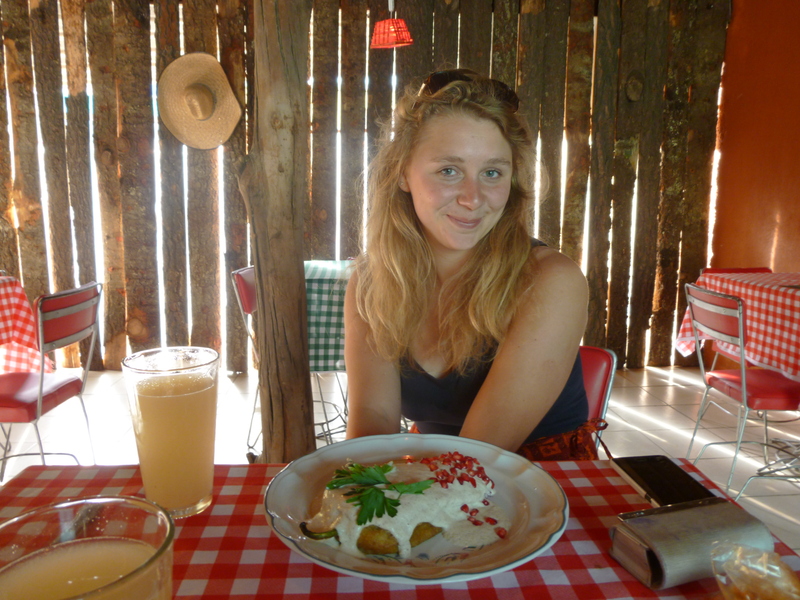 However what shocked me most about arriving in Cholula is how open it is for International students. I initially doubted the availability of student accommodation in a colonial town which remains relatively Mexican aside from the universities. However a room was found nearby which worked out well, with a plethora of other international students with nationalities ranging from Swedish to Czech! The best part is that the house is organised and shared by a large Mexican family, which forces one to speak a lot of Spanish, as well as obtaining local knowledge and information which goes a lot further than the hyped up Lonely Planet guidebooks. After what was a long first semester, second semester seemed to whizz by. Maybe because I felt a lot more comfortable with my Spanish abilities, the University and generally life in Choula, which came to feel more and more like home. As the weeks went on, I found myself travelling less and spending more time enjoying the beautiful scenery around where I live, taking day trips and generally having a slow and very relaxed place of life. I moved house and lived with a bigger group of Mexican and international friends, who were all very lovely, we had many shared dinners and played games and hosted parties – it was a wonderful semester. Alongside my academic studies, I was also able to take a module in community service . This entailed working in a local NGO or foundation which engages in the extended local community around the University. This is something I had always wanted to do in Mexico alongside my studies – it was an amazing opportunity to get involved in a different part of day-to-day life. Through this organisation called ‘Raíses que nos Unen’ (Roots which unite us), I was able to go to local communities on the outskirts of Puebla and assist in leading classes in education and literacy with children and adults. This really opened up my eyes to the difference between the privileged world of UDLAP and rural Mexican villages only twenty minutes away which face severe poverty and illiteracy. Through this work, I was able to understand and experience the real Mexico, which enlightened my studies and ability to relate to social problems and the goings-on in one of the most unequal countries in the world. As the semester continued, the work got harder as final papers loomed and I had to consider what I was going to write about for my final paper for Manchester, an essay based on a part of culture which interested me. As anthropology is about engaging in culture, and Mexico is so rich with cultural heritage and diversity, I found it hard to stick to just one topic. During my year in Mexico I have constantly sought to engage with people about their understanding about Mexican culture, which is very different depending on location and socioeconomic elements, as evidenced by the disparity between UDLAP and the communities which I have been working and visiting. However I found that what unifies all Mexicans is their relationship to food. I used this as a way to analyse all parts of Mexican culture, using food and cuisine as a unifying feature. This study into Mexican culture really made me realise the wonderful culture which I have been a part of during these past 12 months. 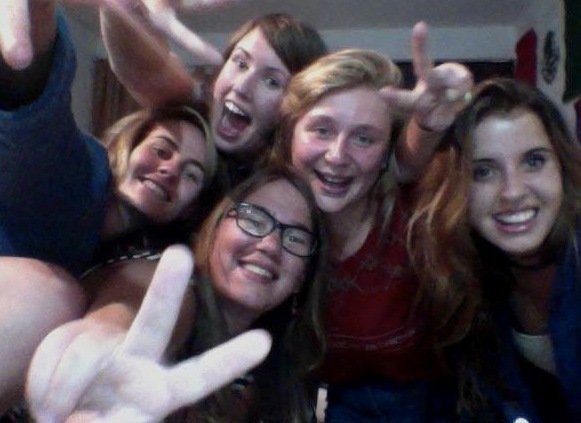 The experience of an exchange is like no other: you can 100% replace your normal life with that of a student studying on the other side of the world. I have been so lucky through the diverse exchange program which Manchester offers to partake in this life changing experience which has been one of the most incredible so far. 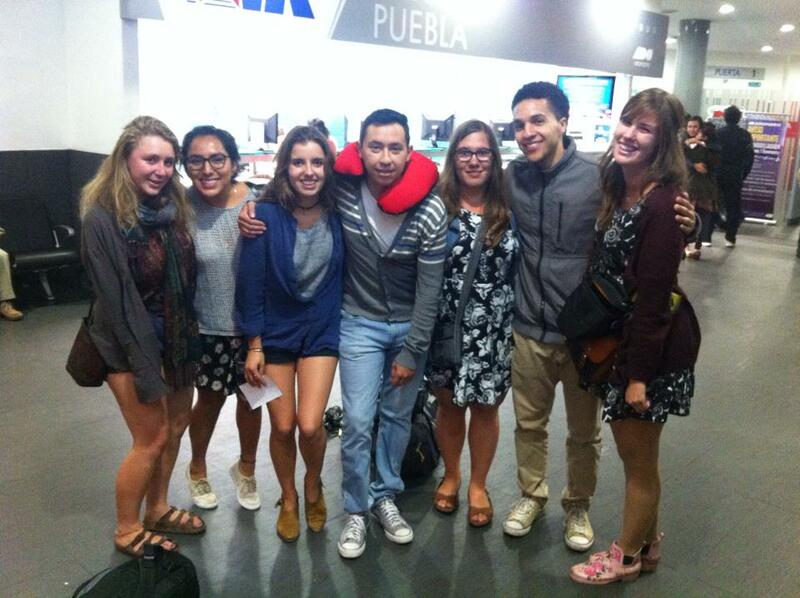 Hellooooo, I am sorry its taken me so long to write another update about my experiences of studying abroad in Mexico, but I was very busy towards the end of the semester with final essays and then straight away I left for the Christmas holiday to travel around Mexico and explore more of this wonderful country. I can safely say that it has been an amazing experience. This semester has been so full of adventures I don’t really know where to start, but as always the academic side needs to come first! So, when November came around I was in a panic with four 10 page essays to write, no clue about what to do them on, and the stress of having to write most of them in Spanish. Its hard enough reading and understanding in Spanish, let alone writing 3,000 words! Due to a stroke of luck, unlike everyone else I knew, I had no final exams, just essays and presentations. This style of assessments does suit me better as I prefer assessments where I have time and don’t need to cram all my knowledge into my brain and then try to regurgitate it in 2 hours! However, unlike Manchester, where there are essay questions and specifications about what essays must include, here I was very much left to my own devices. I could write about any topic in the sixteen weeks of lectures, the only specification was it had to be 10 pages long. This was very scary, however after many hours in the library reading and researching, I decided on my topics. From Spiritual Art in a Huichol community of northern Mexico, to how development is affecting rural communities in Bangladesh, and the changes in Catholicism in young people in Mexico. I found all topics very interesting, however they were not related and I found it difficult having to switch from one to the other. However, this diversity is the beauty of Anthropology as one can study anything and everything in any part of culture, and it seems that this even more relevant in the Anthropology that I am studying in Mexico. I can only speak from my own experiences, however this academic freedom does seem only present in the Social Sciences and Humanities. Many of my friends who study Business and Economics had lots of exams and presentations, so this style is definitely not for everyone. However, after I finished my many essays and spent many evenings in the library, I was very unsure of the grades I would receive. Everyone is graded out of ten, and to pass you need a 7.5. As an international student there is less pressure for me to get these high marks as my year abroad does not count towards my final degree at Manchester. However, as I am a student who does try, to my surprise I managed to get between 9 and 10 in all of my modules, finishing the semester with an average of 9.6, a mark any student, national or international should be very happy with. Yet I can safely say the level is much easier than Manchester. I am not sure if this is because it is a private university and therefore as the students already pay a lot of money to attend that the high qualifications are almost considered a right, or that the level is just much lower than I expected, but this difference really made me appreciate Manchester’s high academic expectations. When I tell my Mexican friends that at home a 60 is good and above 75 is almost unheard of, they seem to laugh and think I am a terrible student. Nevertheless, the ways of qualifying and how we are taught to think independently and criticise what we know to be true is something which isn’t echoed in the Mexican education system. This makes me sad, as many of the students don’t have the academic desire to want more and to find out more for themselves, they are just happy with what they get given. I feel this is not the same in all universities, but seems to be very prevalent at UDLAP, which is considered to be one of the best universities in Mexico. As I had no exams, I was able to fully enjoy the months holiday we got in-between the first and second semester to really travel in Mexico. In the past month I have spent more than eighty hours on a bus, and God knows how many kilometers I have traveled, but it has been totally amazing. 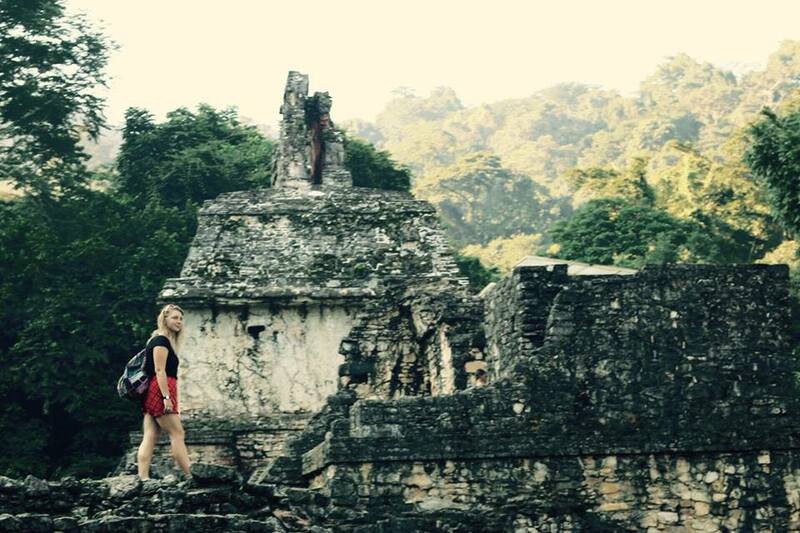 Some of the highlights are: exploring ruins and waterfalls in a jungle town called Palenque, spending Christmas on the beach and being able to spend time with all my friends from around the world who I have gotten to know during these past four months. It has been a blast, and now I still have two weeks holiday to go. I am meeting my dad tomorrow, who is coming to visit me to explore some of Mexico together before I start the second semester, which I am sure is going to be full of so many more adventures and stories to tell. Here to an exciting 2015… and I am sorry for the lack of photos but here is a taste of my adventuring over the past few week! After being in Mexico now for over a month, I am more than qualified to give a report about what studying in Mexico is really like. It has taken me a while to get into the swing of things here, but now I can say I am truly settled. I couldn’t imagine what my life would be like before I arrived, but somehow things do always fit into place. I live in Cholua, which is a small town 10 kilometers from a bigger city, Puebla which is the 5th largest city in Mexico. Choula revolves around my university, the Universidad de las Americas, and provides enough accommodation, bars, restaurants to keep all of the 10 000s of students happy. The university is beautiful. It is based on a campus, which is very unlike Manchester, and has lakes, forests and even meditation gardens. 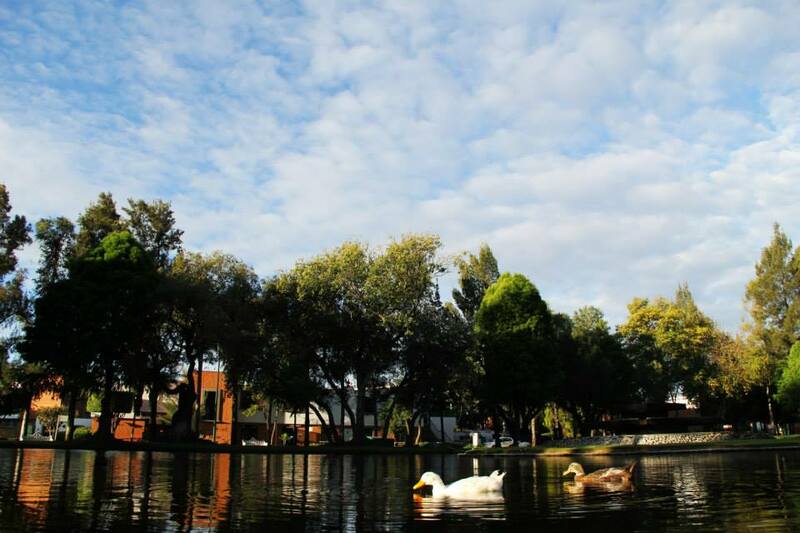 This environment is a wonderful way to relax, study and enjoy the beautiful weather which Cholula has to offer. You can expect sunny days of 20 degrees or more until around 4pm, when the sky turns grey and eventually thunders and tips it down for about half an hour. This is the rainy season, however, I always get fooled by the beautiful mornings and often find myself wet and without an umbrella! The lake of the Campus, with ducks and all! 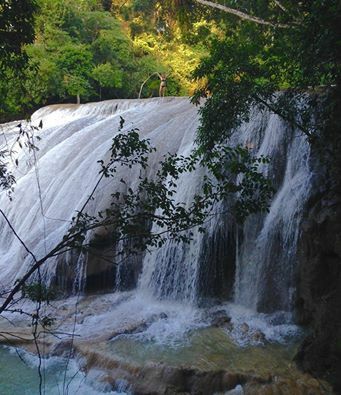 However, apart form enjoying the surroundings, I must not forget my prime purpose in Mexico – which is to study. As an Anthropology student, all forms of culture and people interest me. There are around 200 international students from all over the world, which makes lots of opportunity for socializing, chatting and understanding the differences in many university systems all over the world. This is amazing opportunity as you really can make friends with people all over the world. 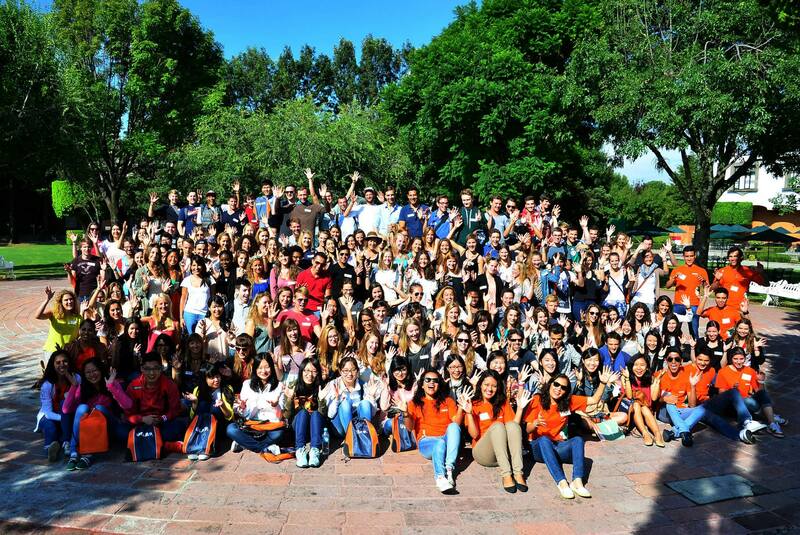 All the international students on the first day of the induction week! Although I am only 3 weeks into my courses, I am beginning to get a feel for my classes and lecturers. I am taking 3 Anthropology modules, Historic Ethnology of Mexico, Word Ethnology and Anthropology of the Body. All are very interesting, however all are taught in Spanish. This is challenging as I have to understand an 2 and a half hour lecture on one aspect of culture, (usually Mexican) and be able to respond to questions and make comments. This is made worse by the fact that many of my lectures are in the evening! However, I am slowly getting there and feel that every class I am more confident to talk and ask questions. The style of the lectures is more informal than in Manchester; there are no lecture theatres as everything is taught in classrooms and anyone can say something or interrupt the lecture if they feel inclined. This is a really nice aspect as it takes away some of the formalities between lecturer and student as everyone’s voice is valued equally. I am also taking a Spanish For Foreigners module which should get my grammar and writing up to speed as I am expected to read and understand 80 pages of information on Mexican culture weekly! 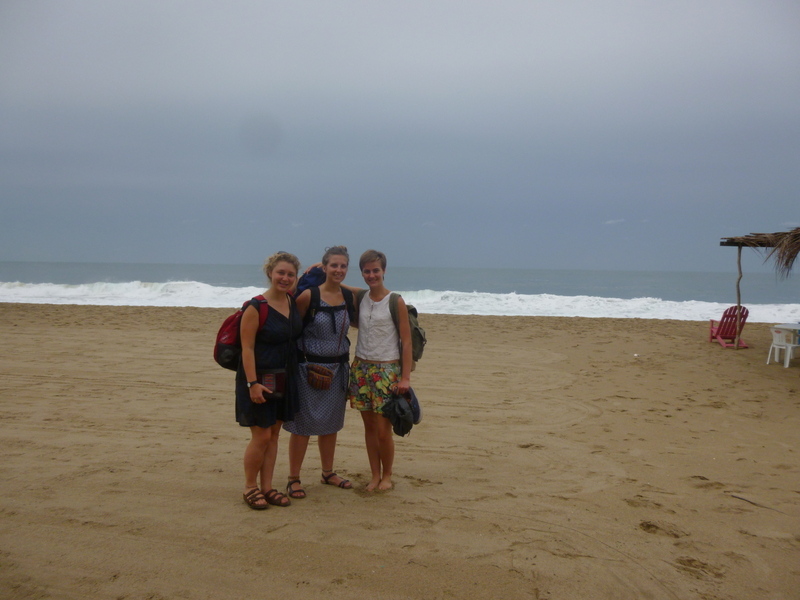 Trying to enjoy the beach even with the cyclone! Being in Mexico, everyone has a desire to travel and to get to know this beautiful country as much as possible, however, getting the balance between travel, study and chilling is difficult. As Mexico is a very large country, one must take a bus for at least 6 hours to get somewhere of interest. Last weekend, me and some friends went to the beach with the intention of swimming and enjoying the Pacific Coast, however we did not expect the cyclone which was also hitting the Pacific that weekend. We still had a good time, however, less beautiful than was hoped, but to expect the unexpected seams a big part of Mexican life. Enjoying the delicious Chili en Nogada! I still haven’t mentioned the food! One of the most important aspects of Mexican life, and God it is tastyyyyy! As you would expect cheese and beans are thrown on everything, however it is much more diverse that the classic Tex Mex that is found in the UK. Chili is put on everything, from fruit to rice, and Mexicans do like it hot. If a Mexican says it isn’t spicy, it almost definitely will blow your brain out. Yet there are other delicacies, at the moment the Chili en Norgada is in season. This is a pepper which is filled with fruit, nuts, meat and an array of different spices, covered in a hazelnut sauce and fried. It is delicious, although super filling. So I hope I have given you an insight on Mexican life and how I am enjoying everything so much here. 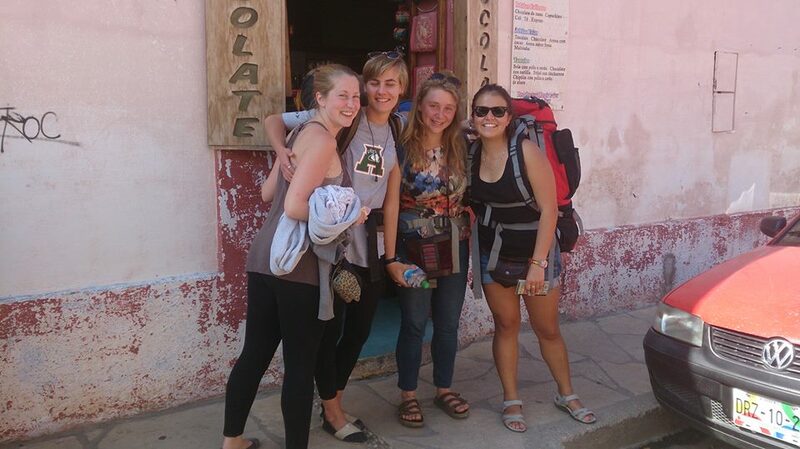 In the weeks to come there are more travels, adventures and of course studying to come……Adios,y nos vemos pronto!